Several big names moved ahead of the February 29 trade deadline, although the day itself was a bit of a snoozefest. In total 19 transactions were made on the Monday, many of which were minor league deals or of very little consequence. At the end of the day the biggest storylines seemed to be Jonathan Drouin and Dan Hamhuis staying put, and the low number of rental deals. The volume of chatter leading up to the February 29th deadline lead one to believe it would be full of fireworks. Despite a late flurry around 3 pm Eastern, it was mostly quiet. There were simply too many teams trying to move salary with gloomy expectations of a stagnant cap, and not enough teams willing to take on salary. The fact that not many teams remain on the playoff bubble didn't help the rental market, either. Make no mistake, a lot of the names that came up in rumours leading up to the deadline will move in the offseason. Jonathan Drouin, Travis Hamonic, Kevin Shattenkirk, Nail Yakupov, Frederik Andersen and Sami Vatanen are just a handful of the players who could be on the move this summer. It's a better time of year to make big moves when money comes off the books and the salary cap doesn't apply. Rumours have emerged that the Canucks ownership meddled in GM Jim Benning's negotiations with the Stars for Dan Hamhuis. 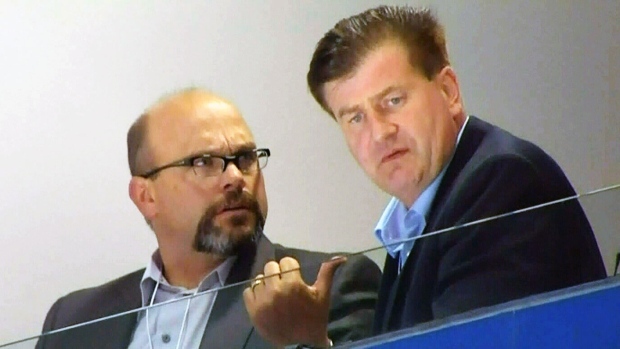 The belief is that at some point in the negotiations, the Aquilinis instructed Benning to get more than was offered by the Stars for Hamhuis, which made Jim Nill balk. We may never know the full story, but the bottom line is the Canucks got nothing for Hamhuis. They also got nothing for pending UFA Radim Vrbata. Or Adam Cracknell. Or Brandon Prust. Or Matt Bartkowski. Many pending NHL UFAs stayed put on Monday, but the Canucks couldn't move a single one of their own, and that's just not good enough. 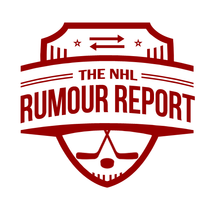 Over the next few weeks I will be converting the trade deadline rumour board into a general rumour board with an emphasis on July 1st. The deadline may have passed, but the rumours don't stop there!